Most items of commercial kitchen equipment at CKitchen and commercial kitchens around the world is comprised primarily of one material: stainless steel. Due to its anti-rust and anti-corrosion properties, stainless steel has become a material of choice for many equipment manufacturers. Similarly, stainless steel is also durable and has a sleek, aesthetically-pleasing appearance. From ice machines to refrigeration units, Table and Sinks, you can find stainless steel is just about every category of commercial equipment today! Regular maintenance and scrupulous cleaning methods can ensure the longevity of your stainless steel equipment while ensuring a grime-free, sleek appearance. 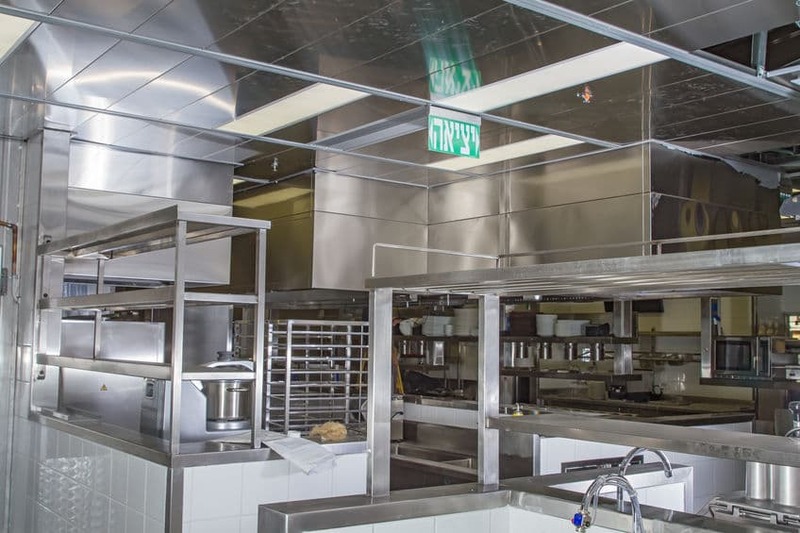 Here are 4 methods that you can use to clean your stainless steel commercial kitchen equipment. 1. Keep it Simple with Water and a Wash Rag. At the end of a workday during regular cleaning rounds, your employees should use a simple wash rag dipped in warm water to wipe away any grime that’s accumulated on your stainless steel equipment during the day. If crumbs or other large pieces of debris has fallen into stainless steel trays (like at the bottom of a conveyor toaster), then be sure to dump those into the waste bin before swiping clean with a rag. For more visible stainless steel equipment pieces like the large, wide fronts of a soda dispenser or the front panels of shelving units, be sure to also follow up your wet cloth round with a dry towel to prevent water spots. Wipe with the grain of the stainless steel polish lines for the most beautiful results. 2. Step it Up with Detergent. For built-up oils and grease, a mild dish detergent mixed with warm water is an easy way to break down the sticky goo without damaging the stainless steel. Simply dip a rag in the mixture as you would when using plain water, and wipe away residue. Be sure to follow up with plain water to ensure that you aren’t leaving dish detergent splotches on the stainless steel. 3. Banish Fingerprints with Glass Cleaner. Do not - I repeat - DO NOT use glass cleaner on cook surfaces comprised of stainless steel. Instead, use glass cleaner for visible stainless steel areas that have accumulated fingerprints such as keypads or the fronts of cabinets and storage areas. Don’t spray the cleaner directly onto the stainless steel. Rather, spray a little onto your cloth to prevent cleaner from dispersing to nearby cook areas, and wipe your rag in a circular motion to banish fingerprints. Similarly, oven cleaner can be caustic to many surfaces, so keep a close eye on the labels to see which applications it’s best suited for. 4. 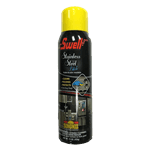 Up the Ante with Stainless Steel Cleaner. For the toughest of jobs, commercial-grade stainless steel cleaner can finish the job. These cleaners can minimize scratching while cleaning buildup and can leave the stainless steel with a polished result. Be sure to read the directions on your cleaner before using on any surface to ensure best results.